As part of our KD Mumbassador role Leo has been trying a selection of their product range, and then I have been telling you all about our overall experience. I watch Leo as he plays with the toys he is sent, and then share our first hand thoughts and feelings about each product. 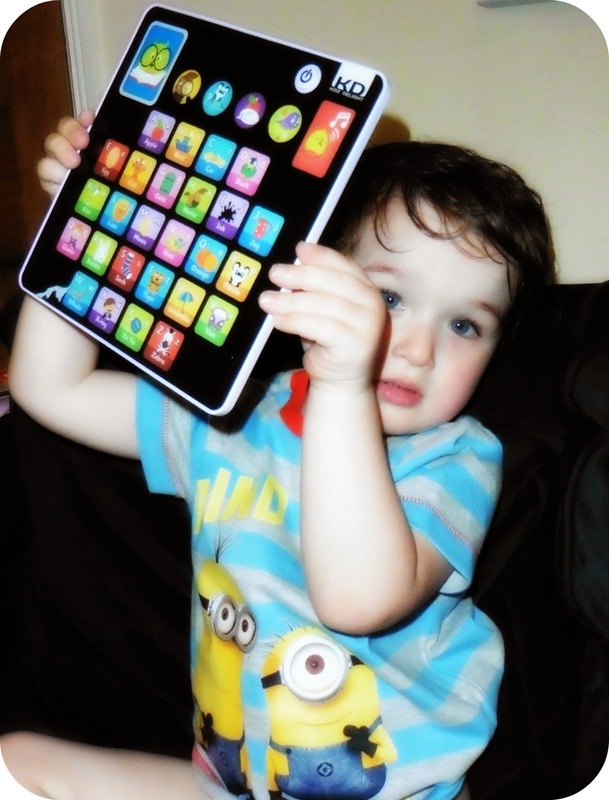 On this occasion Leo has been trying out the Tech Too Alphabet Tablet, we have had this a few months now and it’s a toy that we often take out with us in the car. It’s great as we can fit it comfortably in the changing bag, it’s thin and light and takes up hardly any room. Not to mention it keeps my almost 3 year old entertained while we are out and about, it’s great to just keep in the changing bag, or in the car so that it is there should we need to distract Leo for any reason. 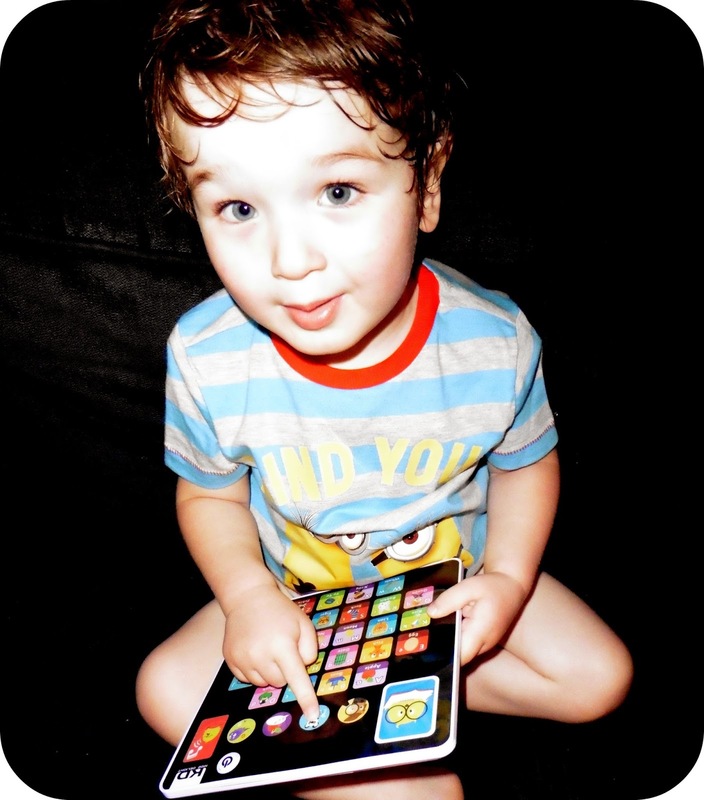 The Tech Too Tablet is recommended from the age of 3 years and over, but Leo is getting the hang of it and is quite happy to flick between the games and play in his own little way. What I really love about it is that as with all of the KD range, Leo is learning as he plays and absorbing lessons all at the same time. 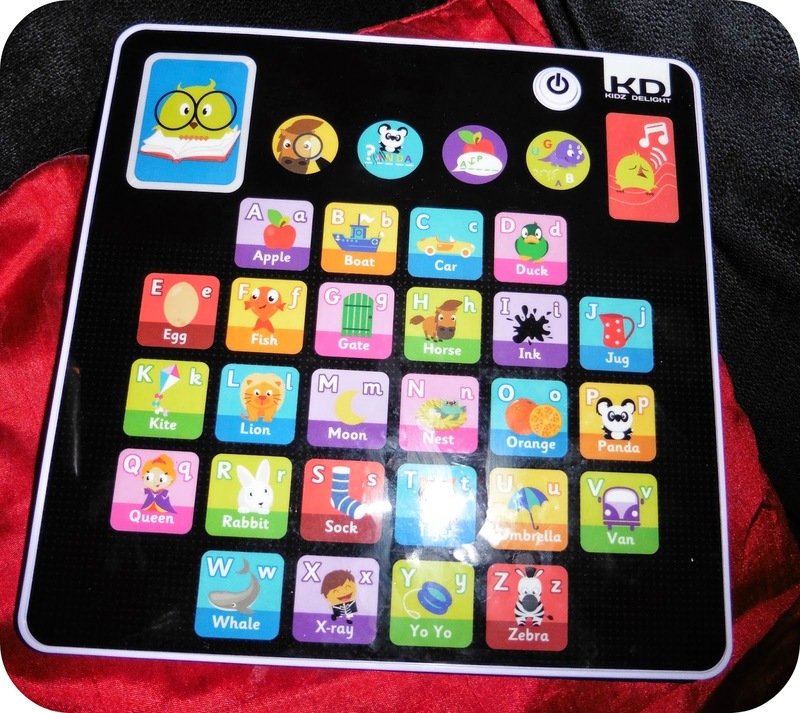 Game 1 is touch a letter - When you press a letter on the tablet it sounds out the letter and provides an example. For instance 'F says F as in Fish'. Game 2 is finding letters - The tablet asks you to find the first letter of a word. For instance 'Can you find the first letter of the word Tiger?' Once you press the correct word it sounds out the letter and congratulates you. Game 3 is a spelling game - The tablet asks you to spell a word. For example 'Can you spell the word Rabbit? 'Once you spell the word out it sounds the word back to you. Game 4 is a letter finding exercise - The tablet tells you to 'Listen carefully and touch the letter as quick as you can'. You then have to find the correct letter that has been assigned to you. Game 5 plays a selection of short tunes. Each of the games can be selected form along the top of the tablet. Each of the games help promote letter and word recognition, spelling, and pronunciation, all really important aspects that will aid them as they grow. As we have had a few red flags with Leo’s speech, I was pleased when this became a toy of choice. 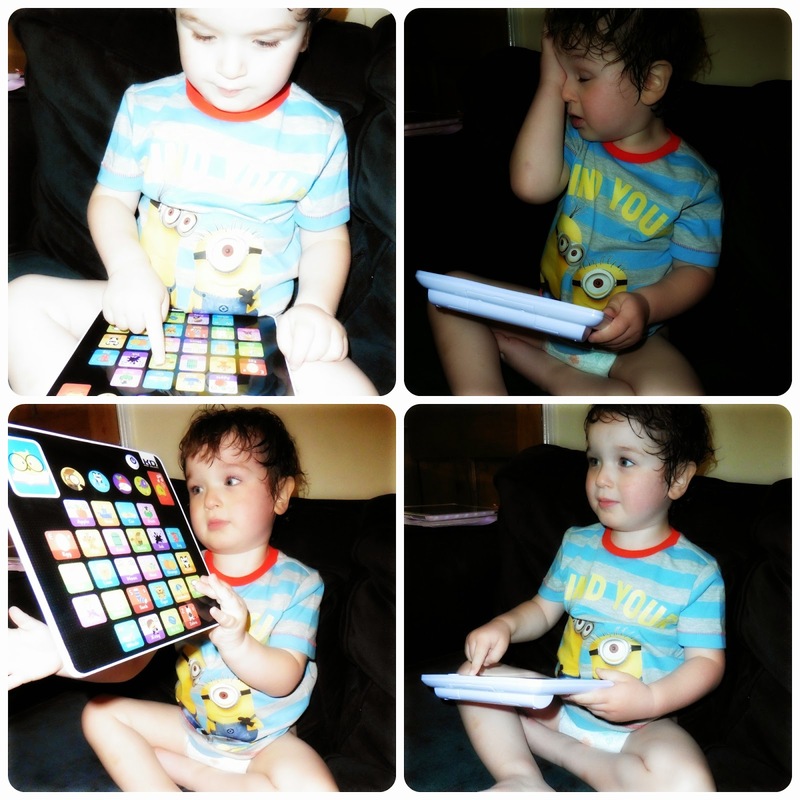 Hearing certain words and being exposed to learning while he is playing is the way to reach my little man. When we play and I am down on the floor with him, or even scooting around outside on my own.. Yes my own scooter! That is when I notice Leo paying more attention and repeating a lot more. Since January Leo’s speech has come on in leaps and bounds, and to be honest I always knew it would. But I still like to do everything that I can to make sure that when he starts school, he will be starting on an even playing field with the other kids. We really like the Tech Too Alphabet Tablet and at the point of writing this review, it is currently on offer at £10.99 at Smyths Toys. Disclaimer: We were sent the KD Tech Too Tablet for the purpose of this review. All views and opinions expressed are completely honest and my own.